Margarete Vollrath is Professor of Personality Psychology at the University of Oslo. As well as teaching personality psychology, she lectures on health psychology and has published a number of journal articles on personality, stress and health behaviour. She recently co-edited a special edition of the European Journal of Personality. Introduction: Who Becomes Sick and Who Stays Healthy, How and Why, and What Can be Done About It (Margarete E. Vollrath). Part I Personality and Major Health Outcomes. Chapter 1 Personality, Cardiovascular Disease and Public Health (Martha C. Whitian). Chapter 2 The Role of Personality in Cancer Onset and Survival (Adelita V. Ranchor and Robbert Sanderman). Chapter 3 Tiperament and Children’s Unintentional Injuries (David C. Schwebel and Benjamin K. Barton). Chapter 4 Personality, Stress, and Coping (Norbert K. Simer). Chapter 5 Personality and Well-Being (Espen Røysamb). Part II Mediators of the Personality Health Relationship. Chapter 6 Mechanisms Relating Personality and Health (Deborah J. Wiebe and Katherine T. Fortenberry). Chapter 7 Personality and Illness Behavior (Paula G. Williams). Chapter 8 Physiological Pathways from Personality to Health: The Cardiovascular and Immune Systis (Suzanne C. Segerstrom and Timothy W. Smith). Chapter 9 Personality, Relationships, and Health: a Dynamic-Transactional Perspective (Franz J. Neyer and Judith Lehnart). 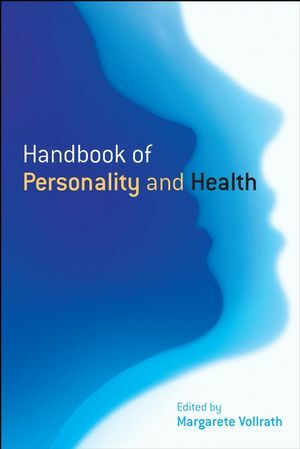 Chapter 10 Personality Types, Personality Traits, and Risky Health Behavior (Svenn Torgersen and Margarete E. Vollrath). Chapter 11 The Possibilities of Personality Psychology and Persons for the Study of Health (Suzanne C. Ouellette and David M. Frost). Part III Targeting Personality: Prevention and Intervention. Chapter 12 The Prevention and Treatment of Hostility (Redford B. Williams and Virginia P. Williams). Chapter 13 Expressive Writing, Psychological Processes, and Personality (Amanda C. Jones and James W. Pennebaker). Chapter 14 Media, Sensation Seeking, and Prevention (Lewis Donohew). Chapter 15 The Promotion of Optimism and Health (Derek R. Freres and Jane Gillham).